The greater the architect’s and contractor’s dreams, the greater the excitement level of our height access team. 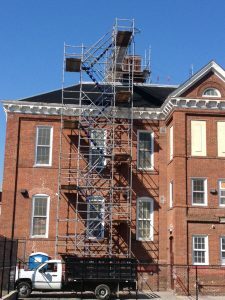 At Ladders & Things, we know that gaining access safely is everything. We have packaged our services to fit any sized budget and project. 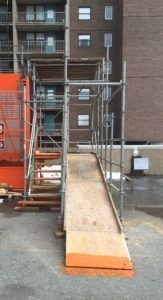 You work directly with our estimating team to align the equipment, training and safety gear required to gain access to your structures, and we do the rest. Through our full service offering, we come to your site, erect and dismantle the height access equipment for you, and so much more. Within each line of business, we offer four main service packages; Bundle, Economy, Basic and Repair.